If you missed this year’s Esri Developer Summit (DevSummit) in Palm Springs, California, Esri development team members have compiled a list of the top technology takeaways from the event. The Plenary Session and technical sessions were packed with useful information about current projects Esri is working on that will help geospatial app developers, whether they want to use off-the-shelf or configurable apps or create native apps. “We intentionally engineer virtually every aspect of the ArcGIS platform to be accessible to developers,” said Jim McKinney, Esri ArcGIS program manager. Esri will soon release the final version of the ArcGIS Runtime SDKs, a version called Quartz. Use ArcGIS Runtime SDKs to add full GIS capabilities to native apps on any platform and in your development language of choice. With Quartz, you can author and edit maps and share them with your organization. You can use mobile map packages to bring offline capabilities to your apps by packaging maps, layers, and data. The authentication process is smoother with portals, and you will be able to more easily retrieve the content and items. ArcGIS Runtime SDKs are also providing a number of options for cross-platform development using Xamarin, Java, and Qt/QML that will help get your apps to market faster. The use of vector graphics in basemaps results in excellent display on high-resolution devices. Since drawing is done on the client, vector tile maps can be restyled for different appearances for your mapping applications. The release of ArcGIS Pro 1.2 in the first quarter of 2016 was accompanied by an update to ArcGIS Pro SDK 1.2 for the Microsoft .NET Framework. ArcGIS Pro is a 64-bit application that comes with ArcGIS for Desktop and can be installed and run on the same machine. ArcGIS Pro SDK 1.2 for Microsoft .NET Framework is a new, modern SDK for extending ArcGIS Pro. It uses the add-in extensibility framework, which will be familiar to developers currently working with ArcGIS for Desktop at 10 or later releases. Unlike ArcGIS for Desktop add-ins, ArcGIS Pro SDK 1.2 for the Microsoft .NET Framework gives developers the ability to write a single add-in that works in both 2D and 3D environments. With ArcGIS Pro SDK 1.2 for the Microsoft .NET Framework, developers can integrate ArcGIS Online and Portal for ArcGIS access into add-ins as well as APIs for the geodatabase, editing, maps, layers, animation, layout, content, and geometry. 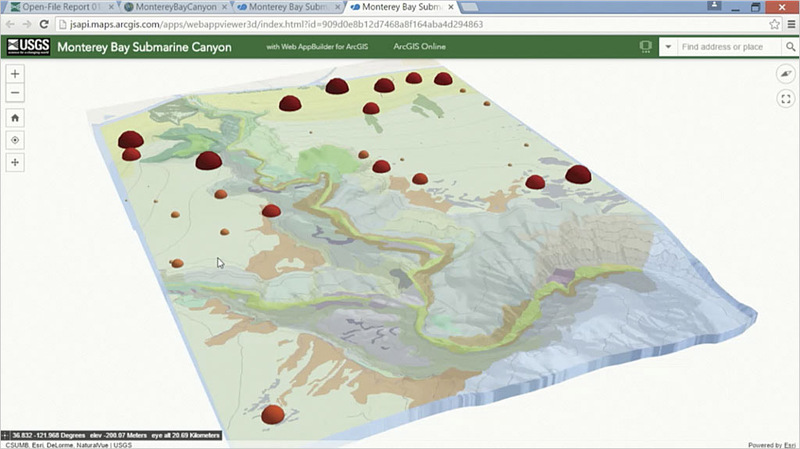 3D capabilities are continually added to the ArcGIS platform. Significant qualitative and quantitative improvements have been made in two areas: visualization and analytics. 3D scenes created in ArcGIS Pro can be shared using the ArcGIS Online web scene. Full support for 3D mapping in apps built using Web AppBuilder for ArcGIS will be available later this year. Continuing support for Python and the scientific community, Esri is adding a number of Python libraries, including the netCDF4 library for using multidimensional data, SciPy to perform scientific computation, and pandas to make it easier to conduct data analysis. Esri plans to also make it easier for Python users to find and use compatible Python libraries within ArcGIS by using Conda, an industry-standard build and distribution framework. This will ensure that Esri’s libraries and the standard scientific libraries are always compatible. A 3D web app created using Web AppBuilder for ArcGIS. Want to get the apps you build into users’ hands more quickly? Esri offers a variety of web and native app builders that will help you meet that goal. Web AppBuilder for ArcGIS is an intuitive what-you-see-is-what-you-get (WYSIWYG) application that lets you build responsive web apps that run on any device. 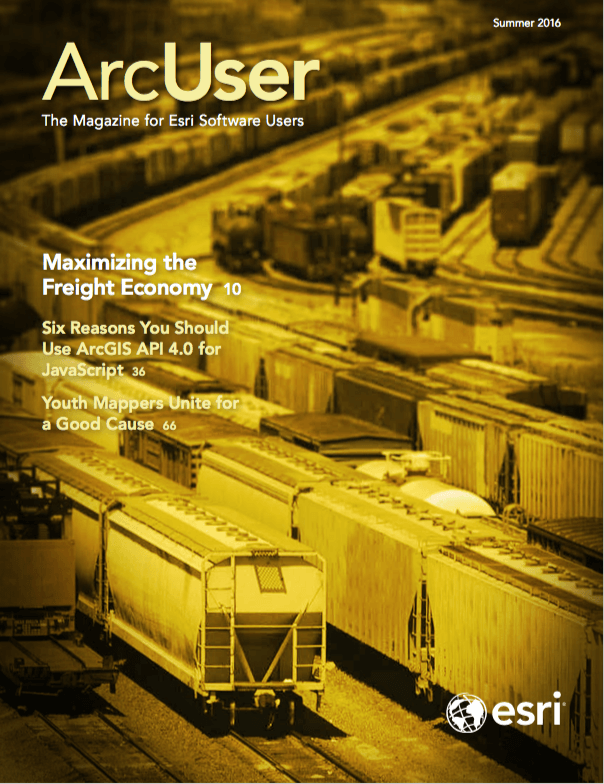 You can also use an extensible framework for creating custom widgets and themes. Fully functional, cross-platform native apps can also be built with AppStudio for ArcGIS. You can convert your web maps into beautiful, consumer-friendly mobile apps that are ready for Android, iOS, Windows, Mac OS X, and Linux and then publish them—using your own brand—in all the popular app stores. Esri also announced the release of the source code for Esri’s Survey123 for ArcGIS app, which was built using AppStudio for ArcGIS. 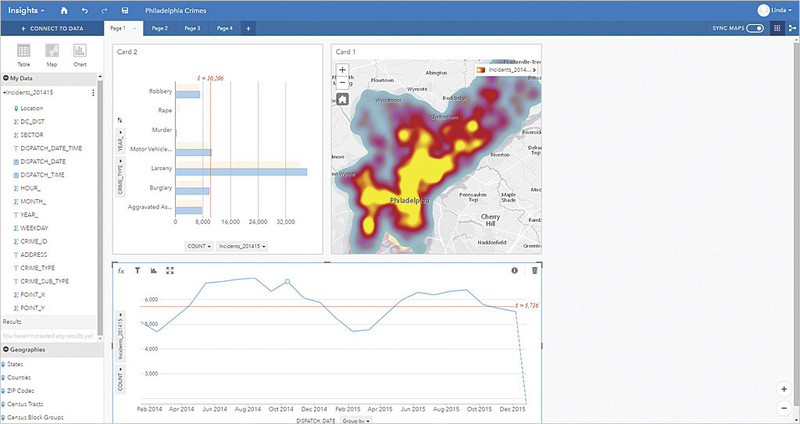 Insights for ArcGIS displays crime statistics via a heat map, a graph, and a chart. Analytics will be a major focus in 2016. Esri will release powerful analytic capabilities in Insights for ArcGIS. Based on a new paradigm, Insights for ArcGIS will give users new ways to explore, interact with, and analyze data. Big data analytics is a new generation of analytic engines available in the ArcGIS platform for working with big data that will have feature and raster analysis capabilities, exposed via tools that can work against big data that might be spatial or spatiotemporal in nature. Using high-performance distributed computing technology and a new Spatiotemporal Big Data Store, GeoAnalytics will present results more quickly. Look for improved real-time GIS capabilities, such as the ability to ingest large volumes of observation data, perform data stream analytics, visualize observations, and archive spatiotemporal data for further batch analytics. ArcGIS also makes these capabilities available for automation through Python scripting. ArcGIS Open Data was launched to easily allow organizations to share their authoritative data and give developers a way to find data to build awesome and useful apps. Currently, the site contains more than 40,000 datasets related to everything from air quality to water use. New, simplified tools and powerful capabilities are being added to ArcGIS Open Data to make it easier for developers to discover content and build apps with that content. A new, more flexible way to obtain developer tools for the ArcGIS platform will soon be available. A restructured subscription will simplify how developers use ArcGIS to build apps and extend the platform. Currently, developers can choose between two separate subscriptions: Esri Developer Network, an annual subscription for developer licenses for ArcGIS for Server, ArcGIS Engine, and ArcGIS for Desktop, and the ArcGIS for Developers subscription, for use with ArcGIS Online. A new, single-developer subscription model will merge those two into one. This model offers different plans so you can tailor your subscription to the technologies that you use rather than a one-size-fits-all approach that charges you for products you don’t need. Details about this new subscription model will be shared later this year.